Moneyball meets The City Game in this compelling look at how the NBA champion Golden State Warriors embraced savvy business practices, next-gen science, and the corporate culture of Silicon Valley to not only produce one of the greatest basketball teams in history but also revolutionize the NBA. Discover the definitive, inside account of how the Warriors, under the leadership of venture capitalist Joe Lacob and Hollywood producer Peter Guber, quickly became one of the most remarkable success stories ever, both in sports and business. In just five years, they turned a declining franchise with no immediate hope into one of the greatest teams in basketball, a period that included the rise of All-Star point guard Stephen Curry and two NBA championships in the past three years. 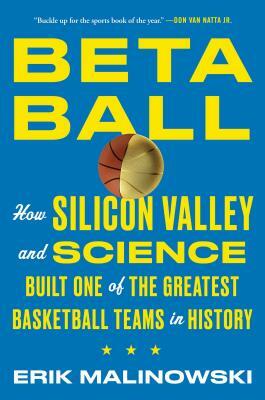 By operating in "beta"—always innovating, unafraid to embrace change, encouraging risk—the Warriors have become a model organization for American professional sports, instituting the best workplace principles found inside the world's most successful corporations and instilling a top-down organizational ethos that allows their employees to thrive, from the front office to the free-throw line. With in-depth access and meticulous reporting on and off the court, acclaimed journalist Erik Malinowski recounts a gripping tale of worlds colliding, a team's reinvention, ordinary people being pushed to extraordinary heights, and the Golden State Warriors' unending quest to remain the best. Erik Malinowski is a nationally recognized freelance journalist based in the Bay Area who has been published in Wired, Rolling Stone, Slate, Atlas Obscura, Sports on Earth, Uproxx, Esquire, Vocativ, Sporting News, The New Republic, and Baseball Prospectus. He is a frequent guest on NPR’s “Only a Game” and his work has appeared in Best American Sports Writing three years running.